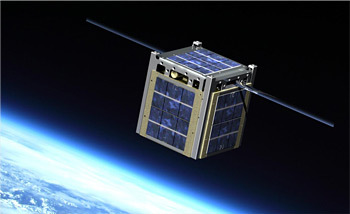 Ever wanted to design your own CubeSat? Been wanting to know what the thermal requirements will be and where to start? You now have a place! Lars Osborne, a mechanical engineer for Spaceflight Industries has posted a beginners guide to Cubesat thermal design on STEMN. connecting the international space community through projects. It’s a place for space-loving scientists, engineers and explorers to share and geek out about the latest out-of-this-world projects. Literally. This is intended to be a guide for an engineering student to create a basic thermal model of their spacecraft in the initial design stages and determine appropriate coatings for passive thermal control. The user should understand what thermal radiation is and how it works. We will estimate the environment, then create a simple thermal model, discuss passive thermal coatings, and end with an example. This guide makes generous assumptions about the spacecraft and environment and is intended to be used in the preliminary design stages. It does not apply to balloon hoisted payloads. If there are components that are temperature sensitive or if internal heat pathways are complex, detailed analysis should be performed. Disclaimer: I am just some random dude on the internet, mission success is your responsibility. The guide is very well written, identifying all the key drivers with explanations and then follows with example calculations to help the designer step through the process. Even if you are not looking to build a Cubesat, the guide is still a very good read to broaden your horizon.